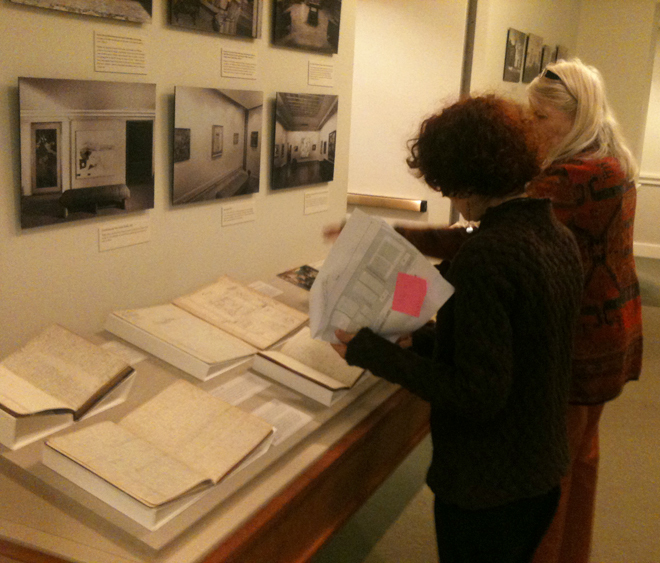 Head Librarian Karen Schneider and Chief Preparator Shelly Wischhusen install the new Reading Room materials. This selection focuses on Duncan Phillips’s journals, including accounts of his travels, plans for his museum, and perspectives on his ever-changing and growing collection. This entry was posted in Experiment Station and tagged archives, Duncan Phillips, installation, journals, Reading Room. Bookmark the permalink.